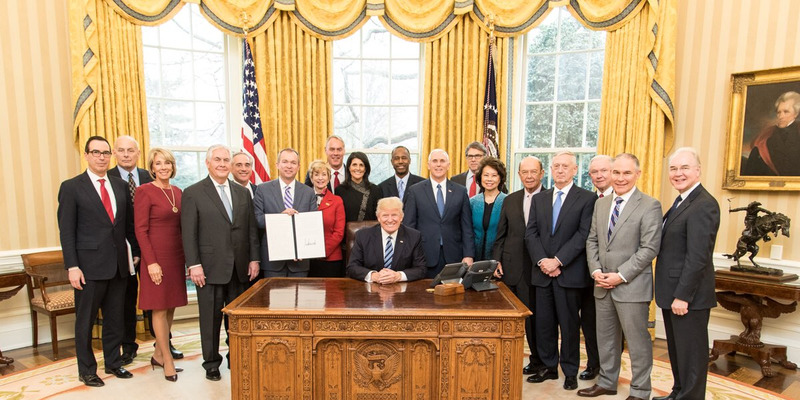 President Donald Trump’s cabinet has already gone through a couple of changes since Trump took office. Gen. John Kelly has stepped out of his role as Homeland Security secretary in order to become White House chief of staff, and Tom Price resigned from the Department of Health and Human services after using taxpayer money to fund expensive private jet travel. Although a number of cabinet members are not serving in the fields they have expertise in, all of them have attended universities — some of which include America’s most prestigious academic institutions. Several members are Georgetown alums.